Cellucor’s marketing material paints a picture of a powerful fat burner that can provide explosive energy without the risk of jitters or ‘crash’, but D4 Thermal Shock is so heavily loaded with stimulants that any claims of a non-crash formulation are hard to believe and jitters are one of many side effects attributed to one of their ingredients—caffeine—so right from the start it all sounds a little too good to be true. What is D4 Thermal Shock and Who is it For? Although D4 Thermal Shock contains only one (unproven) fat burning ingredient the blend does contain several stimulants; so it is possible the blend may provide the promised energy. Whether or not it will qualify as being ‘explosive’ is hard to say because all the ingredients are incorporated in a proprietary blend. If the promised energy explosion does occur the blend will probably be of more benefit to bodybuilders, and other athletes, trying to power up their training sessions, but any fat burned will more likely be attributable to hard training than to any hard-hitting ingredient used in the blend. One capsule should be taken each morning, followed by a second capsule in the afternoon, and Cellucor state the dose can be doubled by users who have a high tolerance to stimulants. At least six hours should be left between doses and plenty of water should be consumed throughout the day. After 8 weeks of use supplementation should be stopped for at least four weeks. Amla Fruit Extract (Indian Gooseberry): The potential health benefits of amla fruit require further study, but one test showed the ingredient may have the ability to lower blood glucose levels. Caffeine: A powerful stimulant that should boost energy levels—if enough is included—but possible side effects include headaches, nausea and heart palpitations. White Willow Bark Extract: Traditionally used as a painkiller, white willow does not possess any weight loss potential, but some studies show it may boost the effects of other ingredients. Octopamine: Octopus salivia hiding behind a more acceptable name. 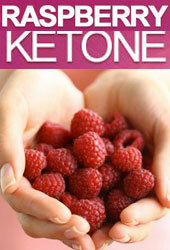 The ingredient is often believed to an appetite suppressant, but this ability remains unproven. Yohimbine Bark: A stimulant that is a common inclusion in bodybuilding blends. It is generally believed to encourage fat burning, but proof is lacking and overly high doses may cause hallucinations, blood pressure problems, and other side effects. Evodiamine: Some tests suggest evodiamine may assist weight loss, but it can interfere with the blood’s ability to clot. It can also cause uterine shrinkage, so it is an unwise option for women who are, or believe they may be, pregnant. Passion flower extract: A traditional remedy for anxiety. Its presence here adds little of value. N-Acetyl L-Tyrosine: Although the ingredient is believed to encourage muscle growth its inclusion here is rather pointless. This formulation is not recommended for pregnant and nursing mothers or anyone who has known or suspected health issues. All other potential users are advised to seek medical advice prior to use. 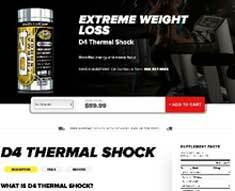 D4 Thermal Shock is not a recommended weight loss product. 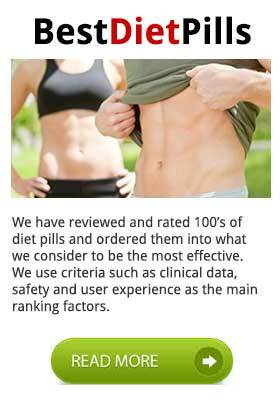 None of the ingredients used in the formulation are likely to produce the powerful fat burning the manufacturers promise and too many of them are likely to cause side effects. As a training aid the product may prove more useful, but the potential for side effects remains an issue, as does the lack of inclusion rates. Many competing blends offer more in the way of information and are more likely to provide results so the consumer is advised to look elsewhere. Purchases can be made from the official Cellucor website and the company offers worldwide shipping, but their products are expensive and can be bought 50% cheaper on Amazon and other online sources. Our recommendations are based on several criteria including not only product efficacy but also customer feedback, comments and reputation of the company responsible for manufacture.